I’ll keep this post short and sweet! I’m about to head to the airport to go on a 7-night photography conference and retreat (on a cruise boat…to the Carribbean). Is this real life?! I’ve never been on a cruise in my entire life, and this is literally the largest boat in existence. It is basically its own planet and I’m pretty sure I’m going to get lost on it every single day. There is also an unlimited donut shop on board, so this could literally be a form of torture for me. We shall see (and don’t worry, I’ll definitely tell you once I get back!). Actually, let’s be honest, I’m mostly terrified that I’ll somehow miss getting back onto the boat at some point during the trip. That wouldn’t be good. On that note, if you would like to see little updates or pictures of what I’m up to next week, I’ll be posting on Instagram! (i.e. judging from this past week’s weather, you may not want too, don’t kill me!). I’ll also be posting regularly here on the blog as well, so I have some great new recipes coming up. 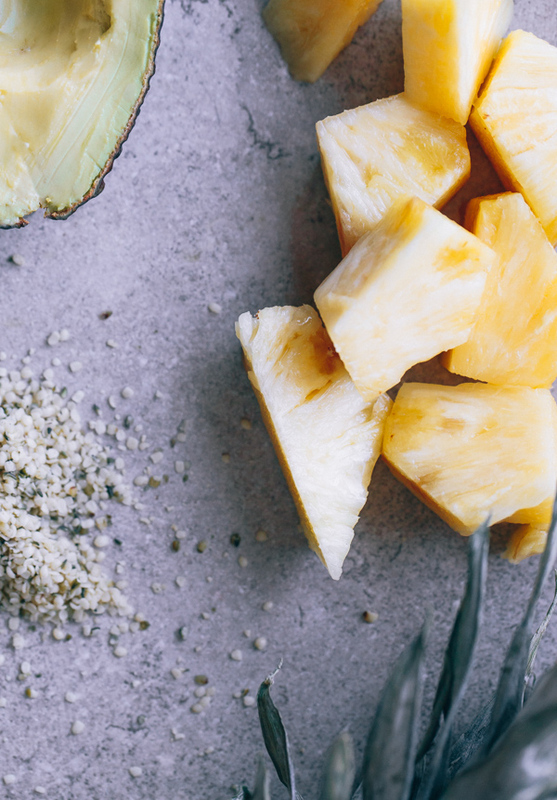 To channel my upcoming trip, I’m sharing a new tropical smoothie recipe! Tropical smoothies make surviving these winter months a bit more tolerable. 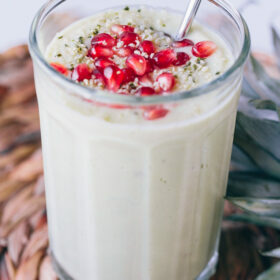 This one is full of lots of healthy ingredients, such as avocado, hemp seeds, banana, coconut milk, and my favorite, pineapple! 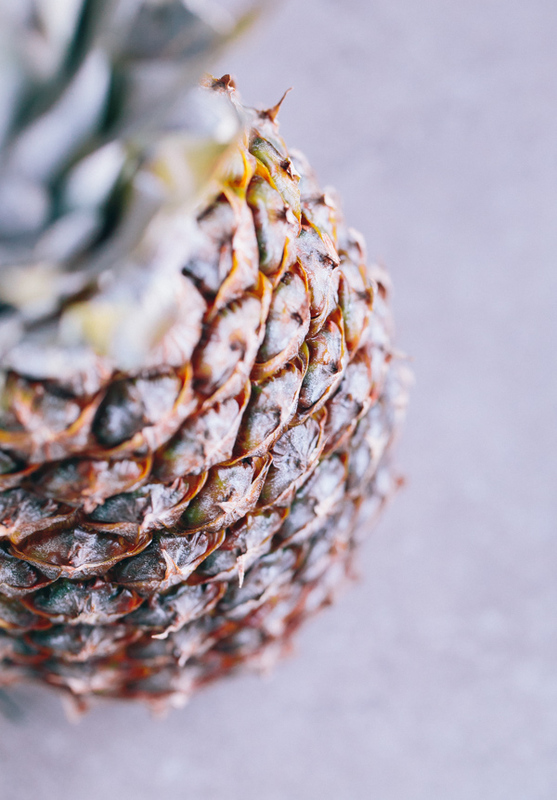 After being reminded of this roasted pineapple dish that I shared on the blog last February, I’ve been dying to make something else with it. This was also my first time using avocado in a smoothie! I have no idea why it has taken me this long, but I loved it! It makes for an extra creamy, extra thick smoothie, and really helps make this drink more filling and hearty. Perfect for breakfast, as an afternoon snack, or a post-workout session. To make it a bit more colorful, I topped the whole thing off with pomegranate seeds (my obsession continues), but feel free to leave them out! Hope everyone has a wonderful weekend! 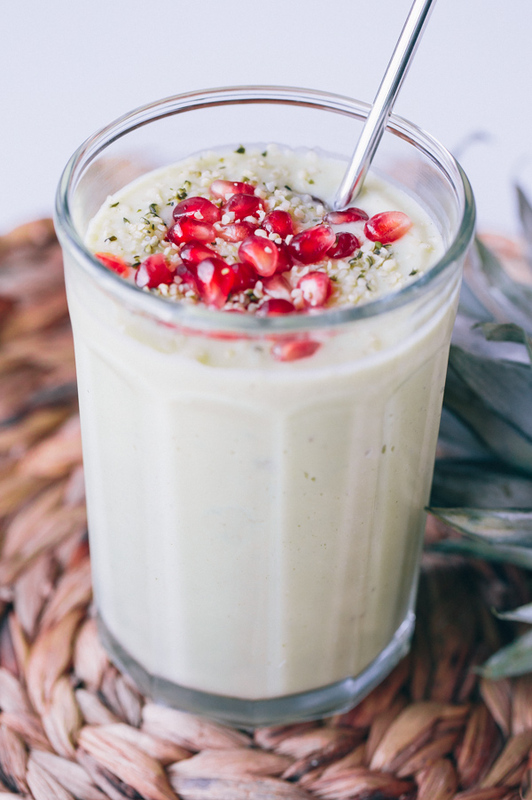 Place coconut milk, pineapple chunks, avocado, banana, vanilla extract, and hemp seeds in a blender and puree until smooth. 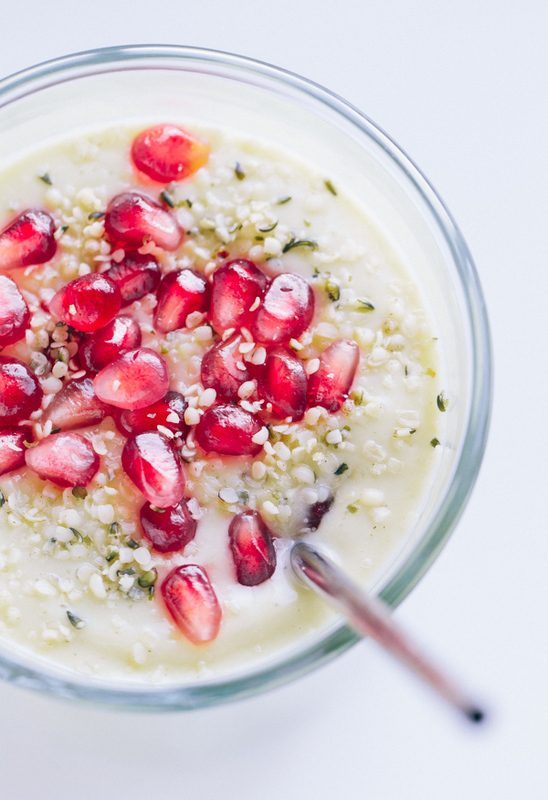 Pour into glass and sprinkle top with fresh pomegranate seeds and hemp seeds. Best served immediately.